A guest post from a media gathering trip to these two French-speaking countries that lie between Ghana and Nigeria. Getting There: Took Ethiopian Airlines – Nairobi – Addis – Lome, then by car to Cotonou and then back to Addis and Nairobi. Ethiopian flies to both countries. Initially, I had set my trip to go into and out of Lome, but changed it mid trip. The expense for the change was significant, but I assume it would have been minimal if I had done it that way up front. The round trip cost was $750 plus $350 for the change. On arrival: Arriving in Lome was easy, but the visa on arrival (American passport) was a bit of a pain of a process and wait. There was a list of the cost for every country in the world, except America and of course mine was much more than any listed. It was 10-20,000 CFA for most countries, while the US one was 27,000. I paid in USD cash, but they had to exchange it into CFA. It’s better to pay in CFA I’m sure. Getting around: I had private transport the whole time. In both Togo and Benin, the massive majority of people move via private motorcycle. There are many boda for hire as well. A few matatu type transportation as well and the rare taxi car for hire. The large buses were for transport to other towns and the small minivan was not seen on the highways between towns. There did not seem to be much foot traffic like you have in Nairobi. Cars and bikes were not fighting for space and everything seemed to flow smoothly. Benin: Walking around my hotel was safe. It is next to the airport and it seemed that many of the government offices and embassy’s were around, so the security was higher. Many of my local friends have been pick pocketed on the streets, but violence doesn’t seem to be as common as in Nairobi. Togo seemed very safe overall. The crowds were smaller. A slower pace of life. Staying in touch: It was very easy to get a local SIM card, much like in Kenya. Costs were very comparable. I forget the network in Togo, but I’m using MTN in Benin. I don’t recall if I could use Safaricom, I didn’t even try. I have not tried calling international on either network. Wi-Fi seems to be common, but the speeds vary a lot and the network is down often. I suspect it’s a problem with the ISP more than the local network. In Togo, my colleague’s wife happens to work at the office of the mobile company. I provided my passport and she gave me a SIM card. In Benin, a friend purchased the card for me, but I suspect it only required a copy of ID to obtain. Where to Stay: I think the median cost is $60. I started at a place that cost $25 without breakfast that was a rat hole. I moved to a western level of accommodation for $80 with breakfast. All the hotels I stayed in, no matter how nice, always had AC & Wi-Fi. Electricity was surprisingly good. I honestly don’t recall a single power cut, but I’m sure they happened. Most of the hostels had a generator. Eating Out: Foo Foo is a staple somewhat similar to ugali. It’s wet and slimy and has more flavour to it, but fermented, like Ethiopian injera. Some forms have a lot more flavour than others with cassava being a common ingredient. No clue on the beer, but easy to get everywhere, as is French wine, even upcountry. No clue with bar conversation is – it’s also all in French. French is a must. I had a variety of hosts with me the whole time. The only English I found was the little spoken by the staff in the hotel. I very much doubt there is a local English paper. 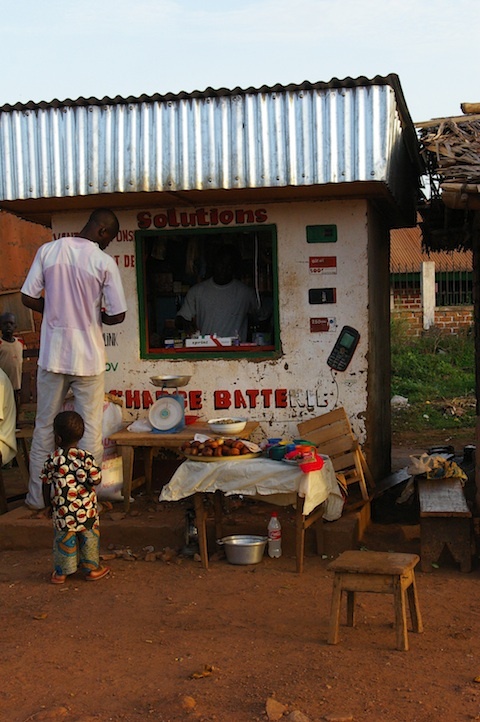 Shopping: in Benin, there is a very small market in front of a very nice supermarket next to the airport. It seems the majority of gifts are cloth based. I did see some very unique, artistic metal work. Of course, there is also the standard wooden animals. I was told there is another market, but I was not able to attend. In Togo: I was taken to a small market with maybe a dozen stalls with a wide variety of items. For the most part, pretty similar to what you find in Kenya. There was one guy selling silver jewelry, like what you find in Ethiopia. Sightseeing: In Togo, there is the main museum next to their national monument, but I didn’t have time to visit. The beach is incredible, but only locals use it. There doesn’t seem to be any structured area for tourism. In Benin, the interior mountains are incredible sites to see, massive slabs of granite, there is a very famous sighting of Mary in Dassa. A very large church has been built there and every year massive numbers of West African Catholics come for a special service and ceremony. The church is only used for this event. I’m told that the town comes to a standstill. The church could probably hold over 10,000 people and I was told the grounds outside are completely covered in standing room only. I imagine over 25,000 people attend. Card usage is extremely rare, even for nice restaurants. Food costs vary from $1 (roadside) to $20 (nicest restaurant) for a meal. CFA is used in both Togo & Benin everywhere. I used an ATM everywhere. They were found all over town. I used CFA for everything. Odd Points: Partial buildings: West Africa’s way of saving money is to build their homes and churches over many years as money comes. Sadly, I have seen in rural Burkina Faso many, many ruined homes never finished. What a waste. But, from what I saw in Togo and Benin, most everything is eventually finished. My hosts were rarely forthcoming with information and did not seem like problem solvers. I was constantly having to suggest solutions and pointing out gaps. I am not sure if I was missing culture cues or perhaps a lot was happening in the language that I was not picking up on. I appreciated that the roads seemed significantly safer. Biggest surprise: The road structure. There are beautiful, nice main roads, and then dirt. Nothing in between. This seemed mostly true in both countries. Many roads in both countries were not paved but made from interlacing bricks. Black market fuel seems to be very big in both countries. It’s not as obvious in Togo, but it’s done very openly all over Cotonou, and it’s half the price compared to the pump. This entry was posted in Benin, CFA, Kenya domestic tourist, oil industry, TIA, Togo on May 20, 2017 by bankelele. CFA Facebook post republished with permission of TOS. Today Senegal celebrates its independence; strangely enough, I am not in a celebratory mood. 50+ years of so-called independence, the more things are the same. I am somehow very encouraged by President Alpha Conde’s and Kabore’s recent remarks, which makes me think that something is brewing…I had posted an article in a private forum and feel the need to share it with a bigger audience in hope to widen the tent that will lead our leaders to the waters…Here you go..
“If you want your independence then take it”, uttered De Gaulle in 1958 frustrated by young men heckling him. Independence was given a few years later, but independence was not gained, as the terms were never negotiated in good faith but dictated by France and the CFA became a by-product of that. At recent events, the Minister of Economy of Senegal suggested that Senegal is not considering dropping the CFA, which given the current climate, to me is a political response to an economic problem. In contrast the President of Chad, Idriss Debby landed on the opposite side of the argument, and clearly established himself as the only head of state siding with a growing number of Africans, who have come to accept that Africa cannot be truly independent if its financial system is controlled in France. 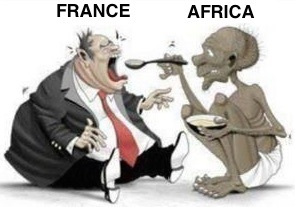 In many parts of Francophone Africa, there is an emerging sense that economic growth cannot happen without economic independence especially with 50% of CFA member countries reserves being deposited into the French coffers. Such an awareness implies that people are ready for an alternative and a clean departure from the CFA and transition into an independent currency. A move like this has to be strategic and deliberate simply because doing away with 70 years of political and economic control, will not be without peril. The French economy came out of its economic crisis after World War II in big part because of the CFA and relies on this system of exploitation to remain a strong economy in Europe. Therefore, dropping the CFA, without a clear well laid out plan and implementation strategy might not be a winning strategy, but a knee-jerk reaction. It is also important that we take timeless lessons from previous movements that called for change such as the Arab Spring, Occupy Wall Street etc. These movements were well-meaning and all called for positive changes, but they were all reactive and started without a clear end game and solid alternative in place. Understand the forces at play: Understanding the lay of the land, including the historical backdrop, the parties involved will help us not duplicate efforts and coordinate our efforts to support the different fronts that are on the ground presently. The first step should be to research and take stock of all the current issues, what the movements are doing, including the Front contre le Franc CFA, led by people like Kemi Seba, who have been fighting the good fight for years now. Build on strengths of the movements already on the ground: A number of organizations have been laying the ground for years, but efforts have not been coordinated enough to reach a critical mass. I think the time is ripe and we can build on the January 7, 2017, events that were synchronized in Paris, Abidjan Dakar etc.… Some research will be beneficial in order to know what people are doing and what is working, and what is not. Based on this information a framework can be built for how we can contribute positively to the cause. However, so far it seems the conversation has not gone beyond denouncing and asking for the end of the monetary servitude, for I am yet to see any concrete steps that lay a blueprint of how to achieve this objective and the ultimate goal of self-determination. Develop a framework to complement these efforts: The framework should consider an end game, formalize the necessary steps, and then develop an initial response to potential challenges for each step. The benefit to this approach is that it allows us to look ahead, identify, anticipate and help us adapt to changing situations. Educate ourselves and inform others, to build a critical mass: The only way to be effective is to have a full understanding of the high and low points of what an independent currency would bring in terms of positive changes. There are several resources from African born experts who have written and spoken extensively on the subject, such as Nicolas Agbohou who wrote “Le franc CFA et L’euro contre l’afrique,” Demba Moussa Dembele, author of “Sortir l’afrique de la servitude monetaire” and many others. There are also many short and easily digestible videos available on the subject. Enlist Monetary Policy and Economic development experts: We need to know what our competencies are, and seek out outside experts such as Dr. Abdourahmane Sarr President at the Center for Local Economic Development Financing (CEFDEL), on areas where we do not have either an expertise or sound plan in place. A winning proposition will have to add something positive to the debate, therefore it is important to know what are the winning strategies being currently executed and try to complement the gaps we can identify. Craft a value proposition to engage those on the sidelines: Assuming that despite framing the value a departure from the CFA will bring, we do not succeed in getting people to get involved, we should be able to pivot and appeal to people’s selfish nature, and what they personally stand to gain, for example: If a person lives in the US, and sends money home monthly, could they be swayed if they see that they monthly remittances can drop considerably? 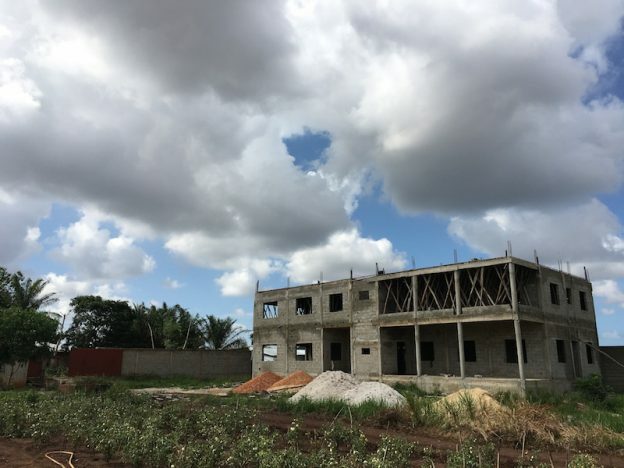 If the person lives in Senegal and wants to start a business or grow their business, could we explain how this will possibly affect access to capital and help them export? Attack the CFA weaknesses and offer alternatives: Every solution has weak points and every problem presents new opportunities. Let’s list these out, and take the message within our networks and above. Winning people’s support and buy-in will build momentum and bolster enough support to put pressure on our leaders to hold referendums and in term force on the hand of France to accept new terms in its relationship with its former colonies. Negotiate a win-win economic partnership with France: Coming up with a creative offer for France will be a better solution than a confrontation, which will simply be suicidal, and will lead to more destruction of our economies. Let’s capture our imagination, if you have ideas or know others who might have ideas on how we can give incentives to France to accept a different partnership agreement that can allow both parties to benefit, please share these ideas. If you subscribe to this vision, I challenge you to engage people in your networks, one conversation at the time. The lives of close to 150 million people depends on this, so if you are from Benin, Burkina Faso, Guinea-Bissau, Ivory Coast, Mali, Niger, Senegal, Togo Cameroun, Central African Republic, Chad, Republic of Congo, Equatorial Guinea, Gabon, or know someone from those countries, get educated, get involved and be the change you want to see. Read up on the CFA Franc. This entry was posted in CFA, France, Senegal and tagged Africa, Africa Rising, CFA, France on April 8, 2017 by bankelele. Getting There: From Nairobi, you can take a direct flight to Bangui that’s just over three hours, and a round trip costs about $1,000. Alternatively, you can fly with Ethiopian Airlines. However this is a longer flight – with stop over in Addis Ababa of 4/5 hours, then another flight to Douala (Cameroon) where passengers proceeding to Bangui are not allowed to disembark during a 1hr 30min) and then you take off to Bangui – and so the entire trip including layovers, is around 12 hours. Visa’s are done before hand, and the process is pretty easy and they usually give 3-month visas. There is no tax to on arrival, but to leave the country you pay a 10,000F tax (~$22 USD). At Bangui Airport, the customer system is pretty meticulous: They search the bag of each person, and if you have goods that they think you have to pay extra for they will start shouting crazy prices – But you can settle it down with some bargaining and perhaps paying a bribe. Getting Around: A taxi to town costs around 1500F ($3). People normally use shared taxis (which fit in as many people as they can) and there are also buses which leave from the main bus station in Bangui and go almost everywhere in the country. These take long time to arrive due to crazy conditions of the streets and sometimes break down along the way. Another way to do long distance travel, is using cargo vans (People sit on the top of the cargo. Some of the destinations (like the north of the country) take around 4 or 4 days to get there, while others like Obo can take around 7 days. I was always going around by myself and had no problem, but one needs to be careful anyway since here in CAR poverty is at the extreme: a teacher salary is around $200, meaning that a normal person get around $50 a month. So if you go around with $100 in your pocket and people see it, is not good. I have friends here that got robbed in the street, but never anything violent: people just take your money from your pocket when there is a crowd. Corruption is also widespread so if you get stopped by a policeman and you are doing something illegal this can cost you a lot of money. The interesting part of this is that the local population gives you advice in the street if they see you are doing something stupid – like someone told me to remove my phone from the back pocket to put in the front, or at the airport they came to tell me that my luggage did not have a padlock and that it was advisable to get one. Security outside Bangui is another issue. The road from Bangui to Obo (South East of the country) is often attacked by the LRA (Lord’s Resistance Army), so no one really uses it (you can take a UN flight to go there, twice a week, which costs $100 per ticket and you need to reserve to see if they have space – maximum $15 per person). The route from Bangui to Bambari (North) is also often attacked by bandits – normally there is no violence involved, they just rob you, get money & anything valuable and then let you go. The entire 5 regions in the North of the country are controlled by different rebels groups and the government suggests not to go there. Only private charters go there and there are no humanitarian agencies working in those areas, only visited by the Diamond Mines people (who have no problem going in and out). In Bangui there are around 3 newspapers published which publish not more than 500 copies: the quality is horrible, as they are all politically driven and the news is distorted in order to favor the political side take by the newspaper. Also there are no newspaper in English. Business & Infrastructure: Where to Stay: There are several hotels in Bangui, all very expensive and with terrible services. One of the best one is the J&M hotel, which cost around $100 a night for a single room. They claim they have internet but it does not really work properly. They have 4 different locations: the J&M one is the best one, the others use the name but have a lower quality of services and rooms. Another hotel is the Hotel du Centre or Hotel Central. It also costs $100 a night and the service is terrible: rooms are dirty and everything is broken. The hall of the hotel looks like an old school pub and it smells old. There is a super luxury hotel that is being built by Gaddafi (well, was Gaddafi). It is supposed to be super fancy, with swimming pool and super nice rooms, but I have no idea how they think it will stay open as there is simply no way they can sustain the costs as there are not that many people that need a hotel in Bangui! Another possible place to stay, is a center managed by the Nuns, and is part of the main cathedral of the city. The center is supposed to be for the missionaries that come to work in the country, but they also host guests for short time. It costs around $50 for a single room, the rooms are super simple but clean and they also offer breakfast with the room. You can have lunch and dinner of you want too for an additional $10. The nuns are very nice and dinner, breakfast and lunch are all served in a common room and at a common table (fixed hours: 7AM, noon and 7PM). Electricity is not reliable at all, and it often went away in the middle of the day and during the night. Every office here has a generator to survive. I counted in my office and on average the electricity goes away every 30 minutes or one hours, sometimes for short periods, but sometimes for hours. 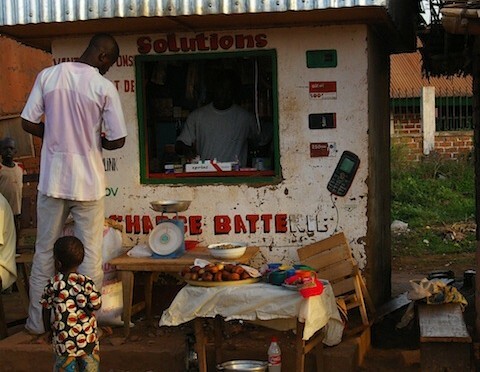 Outside Bangui there is no electricity in the main cities or in the villages: everything works with generators and normally around 6pm, depending on the places, everything turns dark. Likewise, with water provision, there is no water in the houses, and everything is taken from water pumps. Communications: Safaricom has roaming here but I did not use it to tell you how much does it costs. You can register with Orange and Telecell for them to activate your SIM card, but this may take more than 48 hours for the activation to actually work. If you want to use a USN bundle for this, you need to find a unblocked one (Orange had no bundles available anymore when I was here). All those bundles are second hand Huawei modems: You may buy a broken one, a blocked on and so on – and once you manage to have one that is working, you need to go to Orange or Telecell with your modem, the SIM card and the computer for them to set up the parameters. For Moov they said you just need to send an SMS, but I will only believed it if I see it then, since here everything is different when you ask then when you actually do it. Overall, the cost of an international call is around $1/minute and using data on your mobile phone is a nightmare with local SIM cards. Food & Life (Bars): The main dish is fish (capitain) and something very similar to Ugali, but done with Tapioca. They eat a lot of meat – goat, chicken and beef, but almost no vegetables. The local beer is called Castel but they also have Sudanese beers and Mocop Beer from Cameroon. One beer is 1000Fc ($2.5) in Bangui and around 500FC ($1.75) outside Bangui. Shopping & Sight-Seeing: The main shopping area is the market in the center of the city called Marché Central and it is just blocks from Bangui’s port. They have beautiful clothes and very good handcrafts. There is no such a thing as a shopping mall in the all country. One place to visit in the country is the Les Chutes de Boali (Boali Waterfalls) which is around 2 hours away from Bangui. In Bangui there is the Musee de Boganda (Boganda Museum), which offers artifacts of the Central African Republic’s history, and a collection of musical instruments. Another thing to see is the Place de la Republique, at the very heart of Bangui, with its large white arch were built as a monument to Jean-Bedel Bokassa, the corrupt dictator who was overthrown in 1979. Shockers: How poor it is, how miserable, how there is absolutely nothing and how devastated it is, and the fact that they eat dogs, cats, and rats. That’s weird. 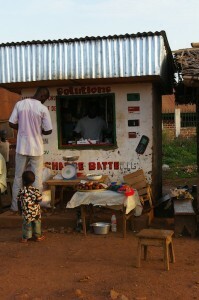 This entry was posted in Bangui, CFA, Kenya domestic tourist, TIA on December 14, 2011 by bankelele.